Nikita Kucherov, the NHL's leading point-scorer, had two goals and two assists, and the Tampa Bay Lightning rallied from a three-goal deficit to defeat the host Detroit Red Wings for the 15th consecutive time, 5-4, on Thursday. Kucherov has 115 points on the season. Tampa Bay won its third straight while Detroit lost for the 12th time in 13 games (1-9-3). Steven Stamkos tied Vincent Lecavalier's franchise record of 383 goals during the second period, and he also had an assist. Brayden Point supplied a goal and two assists, and Tyler Johnson also scored for Tampa Bay. 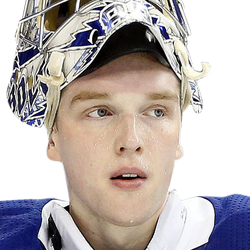 Andrei Vasilevskiy made 23 saves. Darren Helm scored his 100th career goal during a short-handed situation for Detroit. 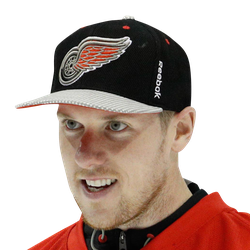 Justin Abdelkader tallied his first goal in 41 games. Madison Bowey and Michael Rasmussen also scored, and Jimmy Howard stopped 34 shots. The Lightning had a 12-6 advantage in shots on goal in the first period but left the ice trailing 2-0. Bowey, acquired from Washington just before the trade deadline, scored his first goal with Detroit at the 2:20 mark. The Wings committed the only penalty of the period for having too many men on the ice but they wound up scoring while killing it off. Helm made a steal in his own zone during Tampa Bay's power play, skated in along the left side and beat Vasilevskiy in the five hole to make it 2-0. Abdelkader broke his personal scoring drought at 3:43 of the second period for a 3-0 lead. Tampa Bay got on the board during a power play at 12:57 of the period. Stamkos patiently waited at the left circle after receiving a pass, then beat Howard on the short side. Point scored just 1:46 into the third period to cut Detroit's lead to one. Kucherov tied it at 8:24 of the fianl period. He lifted a shot from the right circle that flew over Howard's left shoulder. Point and Victor Hedman had the assists. Johnson put the Lightning on top just 26 seconds later. He redirected Erik Cernak's shot from the point. Kucherov scored his second goal at 16:38 off a Point feed to make it 5-3. With Detroit's net empty, Rasmussen scored to make it a one-goal game. Thomas Vanek and Filip Zadina had the assists.